One large egg provides 5.5g protein, at least 11 essential vitamins and minerals and only 282 kilojoules. Welcome to Bridgewater Poultry Farm, the home of fine and fresh high quality Loddon Valley Eggs, Victorian Fresh Eggs and Country Fresh Eggs. Our eggs are graded, packed, stored and delivered at rigidly controlled temperatures to ensure they arrive at the point of sale in optimum condition. 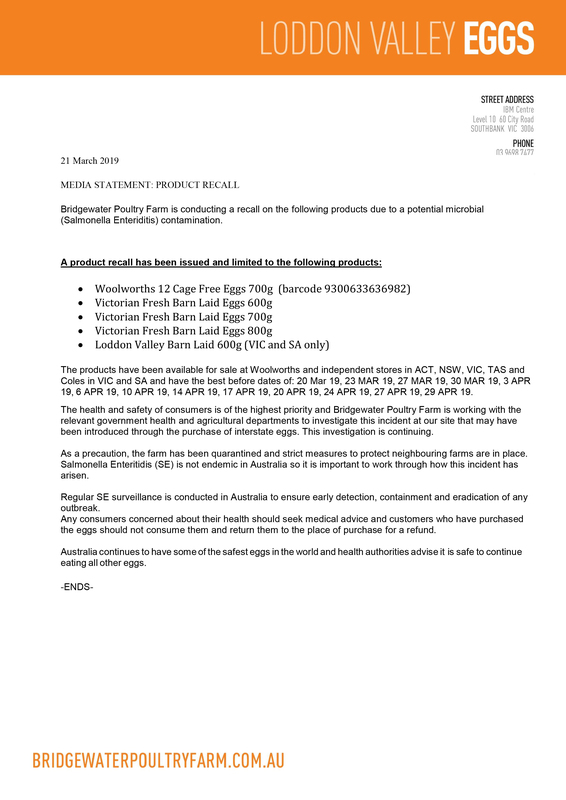 To guarantee consistent egg quality, all production is subject to strict testing procedures at every stage of the grading and packing process. We aim to deliver eggs into retail stores within three days of lay for that fresh, extra delicious taste straight to your table. Find us in your local supermarket.